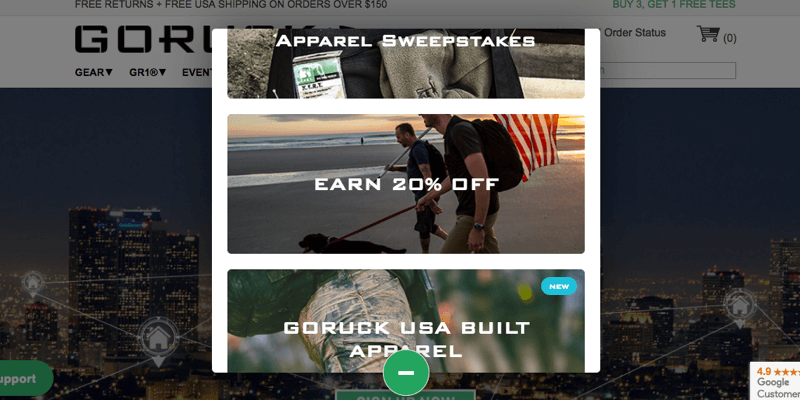 It looks like GORUCK has launched a referral program that can score you a 20% discount on your next order! 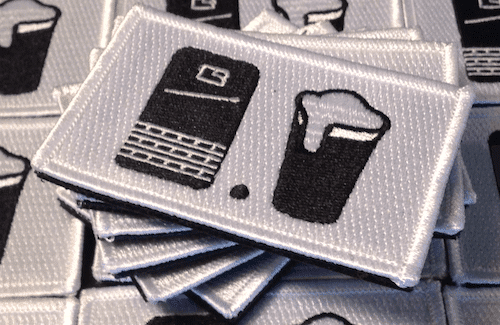 Update: GORUCK may have taken this program down off the site, as I can no longer find it. I stumbled on to it this morning. Here’s all I know. 1. 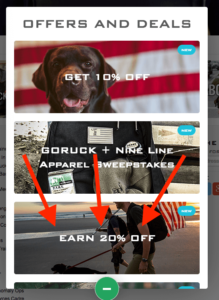 Visit GORUCK.com and click the little icon floating at the bottom of the page. Click the floating icon at the bottom of the page. 2. Scroll to the “Earn 20% Off” box and click it. Click the “Earn 20% off” box. 3. Register for the program. Enter in your information and register. 4. 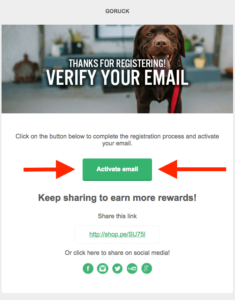 Send an email to someone (I think you can actually skip this if you want and just use the referral link you get in step 6). 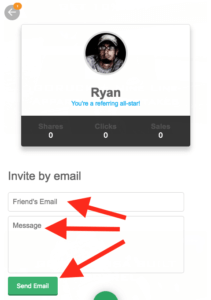 Send someone an email… or don’t. 5. Check your inbox. You should have an email from GORUCK. Click the “activate email” button. 6. After activating your email, you’ll get another email. 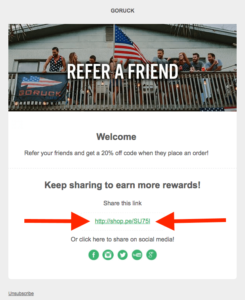 This one will have a “Share link.” Share this magic link on social media or anywhere to get your friends to buy GORUCK stuff. 7. Go back to GORUCK.com and redo step #1 and #2. 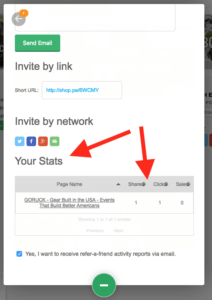 You will now have an admin panel that shows you how many clicks and sales have resulted in your share. Obsessively watch the clicks roll in. NOTE – I wasn’t able to find terms of service for the program or any details. So, I don’t know how the 20% discount works. 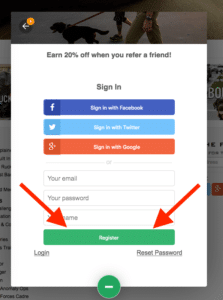 I “assume” that if someone uses your link and makes a purchase, you’ll get a 20% off coupon code emailed to you. Or, perhaps, you have to hit a certain number of sales before you get a code. I really don’t know how it all works, but 20% off is way better than the 10% off you can get here. I’ll update the page when more details come out. Well… you might as well go give it a try. 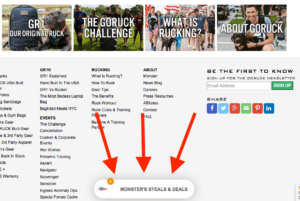 Looks like GORUCK has already removed this feature?